Take us with you and you've got 16 million businesses at your fingertips, wherever you go. Choose your device and enter your mobile phone number below and we'll send you a download link to your phone. NOTE: this app is only available on iPhone and Android devices at this time. Standard carrier rates may apply. You can also access our new mobile experience from your mobile browser. 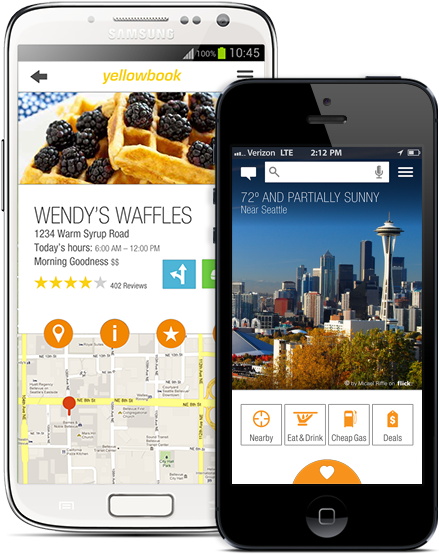 Just visit m.yellowbook.com on your phone to check it out!